OPEN HOUSE SUN 5/6 11-1. 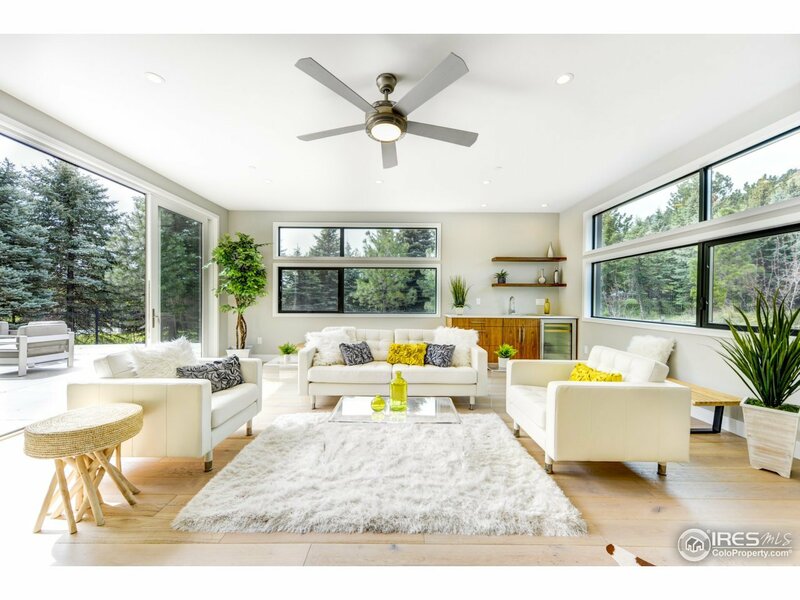 New modern masterpiece in N. Boulder&apos;s finest location on rare .69 acre tree-studded lot at base of trails & open space w/magical Foothills views only 5 mins from downtown Pearl St Mall, restaurants+cafes! Stunning open design harmonizing indoor/outdoor living, backing to forest of trees perfect for entertaining w/extensive patio space, built-in BBQ & outdoor fireplace. Luxury, organic-style finishes+8.8 kW solar. Lot extends N. of berm & to E. towards fence.